So what does a Lisa look like internally? Here you are seeing the Lisa's Motherboard.. 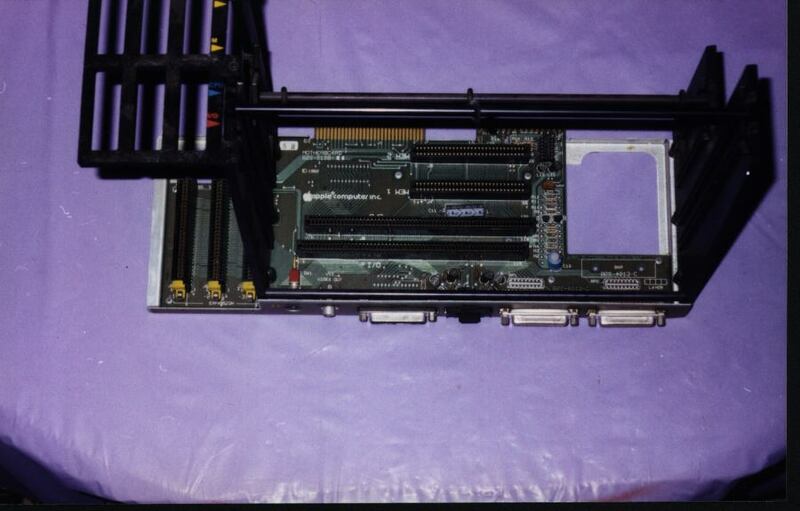 This board slides in from the back pannel and holds the I/O, CPU, and memory cards. The serial, parallel, mouse, and external video ports are actually on this board. The top of the board cage has a red arrow for the I/O slot, a blue arrow for the CPU board slot, and two yellow arrows for the smaller memory boards. On the left you can also see the three expansion port slots.